Is Xanax Addictive? How Addictive is Xanax? Xanax is one of the most commonly used psychiatric drugs in the United States, with doctors writing 50 million prescriptions every year. Though this drug, which is part of a drug group called benzodiazepines, can prove invaluable in the treatment of anxiety, it is also powerfully addictive - especially for users who don't have a valid medical prescription, or those who abuse it recreationally. Anyone, even prescription users, can develop a Xanax addiction. Xanax changes the way your brain's neurotransmitters function. These neurotransmitters are how your brain relays messages throughout the body, including those that mediate mood and other states of mind. Consequently, changes in neurotransmitters can change your mood and for some users, these changes are deeply pleasurable. Sadly, these changes can interfere with the brain's normal regulation of neurotransmitter activity, which means that quitting Xanax can leave you feeling depressed and miserable. Many users continue using the drug for precisely this reason. Prolonged use can give rise to both psychological and physical dependencies that make it nearly impossible to quit on your own. But recovery is possible with the right treatment. More than 125,000 people visit emergency rooms due to Xanax overdoses and complications every year. This figure shows no sign of changing. Reclaim Your Life No one deserves addiction. 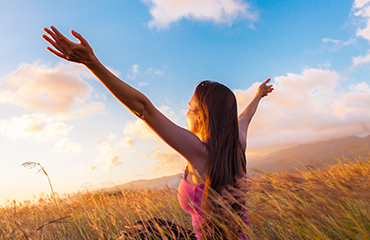 Find treatment and begin your journey back to health today. Changes in emotional health; many addicts feel anxious, restless, or depressed without the drug. Lethargy, sleepiness, and lack of motivation. Neglecting loved ones and other responsibilities in favor of using Xanax. Difficulty concentrating, feeling like yourself, or relaxing without Xanax. Taking Xanax longer than prescribed by your doctor, or at higher doses. Providing misinformation about anxiety symptoms or previous use to your doctor to get more Xanax. One of the challenges of addiction is that it typically comes with a large serving of denial. Particularly because Xanax is a prescription drug, it's easy to convince yourself that you need it. But consider whether you can give up Xanax, even for just a day or two. If the thought sounds unbearable or you try and fail, it's a concerning sign that you're an addict. Other symptoms fall into 3 general categories, as shown below. Some common symptoms of Xanax withdrawal include nausea, vomiting, and shakiness. Xanax may induce apathy, rebound anxiety, and depression. Many Xanax users also find that, as their addiction festers, they become more and more apathetic, more anxious without the drug, and even paranoid. If you've suffered negative consequences to your health, finances, relationships, or career, and continue to use Xanax, you may be an addict. 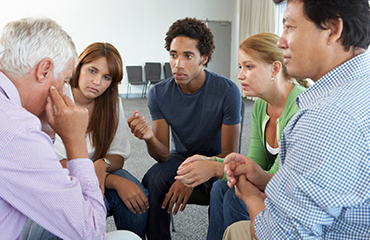 Find a Meeting Recovery meetings are great resources for those struggling with addiction to connect with others and get support through recovery. Find a meeting today. You can't force someone you love to seek treatment for a Xanax addiction, but you can nurture an environment where seeking treatment feels like the best choice. Talk to your loved one directly and without judgment about his or her use of Xanax. Offer to research treatment options or to go with the addict to a Narcotics Anonymous or Pills Anonymous meeting. If your loved one still refuses treatment, you'll need to set clear boundaries, both to protect yourself and your loved one. Helping an addict, though tempting, can be harmful, since it makes it easier for them to continue using. An intervention allows you to set clear boundaries, show the addict in your life how much you care and give one final push toward treatment. Shares how the addiction has harmed him or her. Outlines what will be different if the addict will not pursue treatment. The idea here is to offer loving support while making it clear that the addiction is unacceptable. A good intervention helps an addict understand that treatment is the best--and easiest--option. Sometimes, though, it takes a while for an intervention to work, so don't be surprised if your loved one storms out, only to accept treatment a few days or weeks later. No one should have to face this pain alone. Therapy can help, but many people who love an addict find great comfort among other like-minded people. Nar-Anon, a sister program to Narcotics Anonymous, has helped millions of loved ones set boundaries, protect themselves, and get support for the challenges of loving an addict. If someone you love has a Xanax addiction, they may take the drug to cope with anxiety--even if they don't have an anxiety disorder or a prescription. Consequently, understanding anxiety and trauma can help you better understand the challenges your loved one faces. You may find that trauma and anxiety-sensitive family therapy helps you get your relationship back on track after the addict in your life has recovered. It's not easy loving someone who's bound and determined to harm themselves. Addicts may steal from, abuse, or otherwise mistreat loved ones. You may have to deal with an addict's arrest, overdose, or disappearance. Call 1-888-993-3112Who Answers? to speak to someone who can help you get your loved one back on his or her feet. When you're stuck with the unceasing pain of an addiction, it can be hard to uncover even the most rudimentary sense of hope. But addiction treatment saves lives every day. Inpatient rehab offers comprehensive support in a drug and alcohol-free environment, making it much easier to get clean. For recovering addicts who need a little pampering, luxury inpatient programs are ideal because of their blend of first-rate treatment with lush surroundings. Busy professionals who don't want to leave work may find solace in the existence of executive programs, which offer meeting spaces and the chance to keep working. Because Xanax is often prescribed for anxiety and can change your brain chemistry, many addicts struggle with depression and anxiety after they quit. 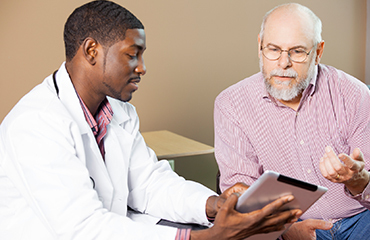 It's critically important to talk to a physician who can help you find a less addictive treatment option. In rehab, your doctor might try several different drugs, and the residential setting allows him or her to monitor your progress. Inpatient or residential treatment centers will also provide an environment for a safe, supervised detox period to preclude any dangerous withdrawal events. Inpatient treatment isn't for everyone, but for many outpatient treatment can also be effective. Therapy, medical detox, 12-step programs, and even simple lifestyle changes can all help you on your journey to recovery. If you struggle with depression or anxiety, therapy is critically important. Many Xanax addicts, especially prescription users, find that they're unable to get sober without supportive psychotherapy. The ultimate key to success is a willingness to stick with it, even when it gets tough--and to never again take a single Xanax. Treatment can be intimidating, but the right treatment program should help allay your fears and put you at ease. Don't feel bad about asking lots of questions; doing so is the best way to be a good advocate for yourself or someone you love. Ask about success rates or contact references. Read online reviews, since these often tell a fuller picture than the glowing references you can expect to see. Visit a program before signing up. Spend some time looking for the right program before you commit. This is your recovery, and you deserve the best possible shot at it.